Cristina has lived in Windsor since 1975 and with her husband, Ed, have raised their three children as active members of the Windsor community. They are proud graduates of Windsor High School. 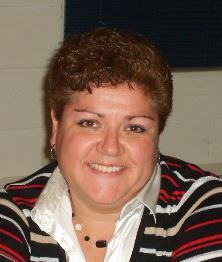 Cristina has worked in Public Education for 27 years as a tutor and teacher. She has taught in Virginia and Connecticut, including Windsor Public Schools. She currently teaches Elementary Spanish in East Hartford at Dr. Thomas O’Connell Elementary IB World School. Cristina served on the Windsor Board of Education from 2007-2017, serving as Board Chair the last four years. Cristina was Vice President and President of Sage Park Middle School PTSA. She is a member of St. Damian of Molokai Parish, and has been involved with Windsor Junior Women’s Club, Windsor Soccer Club, and Pack 203 Cub Scouts. Cristina earned a Bachelor Degree in Economics from the University of Connecticut, a Master’s Degree and Sixth-Year Degree in Educational Leadership from Central Connecticut State University.